Appreciating the visual splendor and texture of your wine is like knowing the background of a musical piece -- it may sound more or less the same at first, but if you listen carefully you'll be able to appreciate the subtle nuances that make each piece unique from one another. You've been dragged to a dinner party you really do not want to attend. Would you rather take an ice bath on a frigid winter morning than attend this party? Yes. Would you rather lose your significant other who wants you to be there? Sadly... no. You walk in the door. Avoiding the inquisitive gazes of the guests, you embark on a search for the one thing that will get you through the night -- wine. Luckily, the host Rick brings you a glass of something red. Rick, totally unprompted, starts talking about his job as an investment banker. "You know, on a per hour basis I actually don't make that much money," Rick exclaims. Now, in the past this is the moment you would have smiled and nodded as you took a triple sip, hoping to numb the pain. But not this time. This time, you hold the glass in front of you and observe the wine's color while Rick's words fly right over your head. Assessing color will not only impact your sensual experience as it did for the Bordeaux students, but over time, you'll come to appreciate the wealth of information cloaked in a wine's color that 99 percent of wine drinkers take for granted. 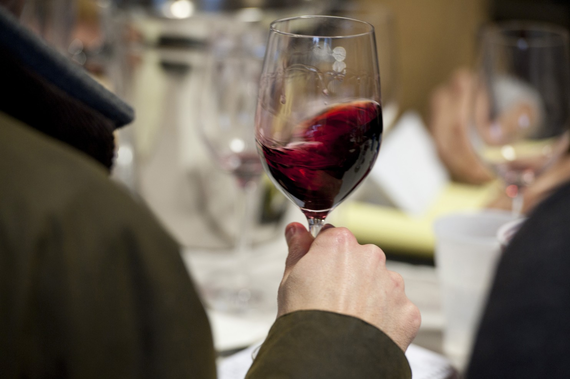 For the first step, turn your attention to the glass, and observe the wine's color. Is the wine crimson red, or more of a dark purple? Is it easy to see through the glass, or is the wine opaque? 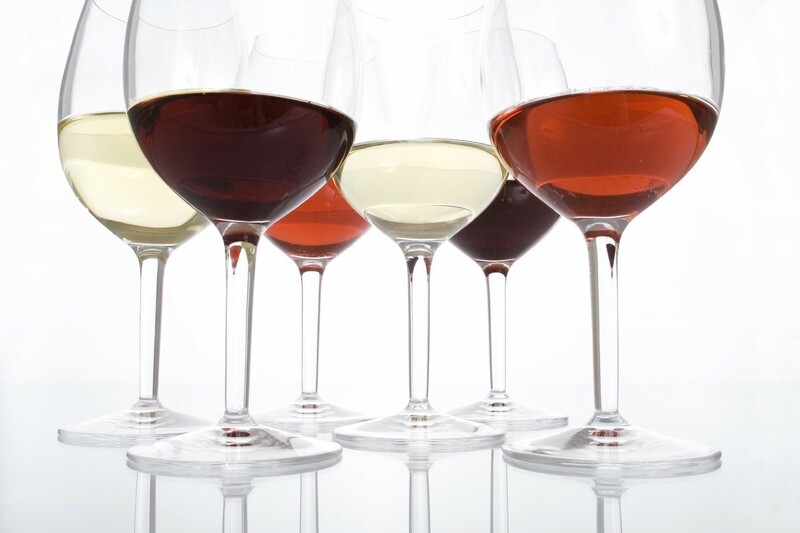 You'll start to notice you can identify certain grape varietals by color alone. For example, Syrah tends to be an inky dark purple that's near impossible to see through, whereas Pinot Noir is a bright garnet that's entirely transparent. A wine's color can also speak to its age. Whites become darker with age, and reds become lighter. Casually swoosh the wine around in the glass a few times and observe the "tears" AKA "legs" AKA "drops" running down the side of the glass. Are they falling slowly, or do they trickle down the side of the glass rapidly like water? 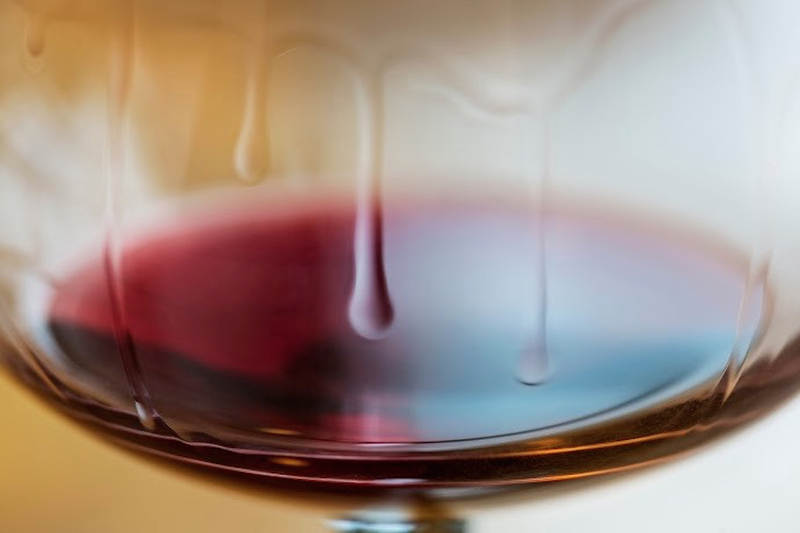 The thickness of these tears, or "viscosity", can communicate key details about the wine. When slow running and thick, that indicates the wine is potentially high in alcohol or contains residual sugar. Back to your stimulating conversation with Rick. You've already feigned interest in his latest 1-week detox diet, and now comes the inevitable silence. Not only do you and Rick have nothing in common, but you're out of things to talk about. In the past, you'd take another slug of wine and revive the painstaking conversation via a comment on the weather or a verbatim lie about how you're intrigued by this preposterous diet of his. But not this time. This time, you embrace the awkward silence as you give your glass a gentle swirl. In another study, a single subject (me) drank an Argentinian Malbec that smelled like a barnyard upon opening. After about 30 minutes of air, those odors blew off revealing a remarkable, delicious wine. 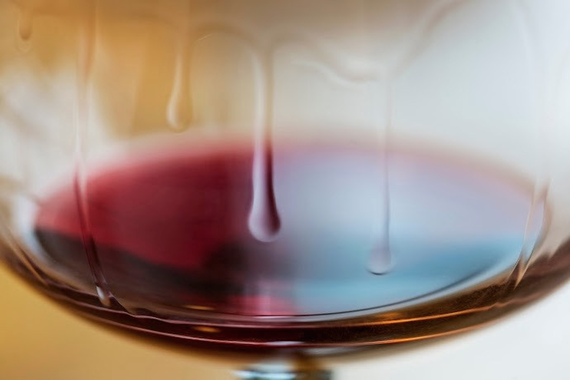 Of course, you may not have the privilege of arriving early to ensure that your host opens the wine beforehand to allow for sufficient breathing, but swirling it in your glass will have a similar effect. Typically, the more volatile components of a freshly opened wine tend to be the less enjoyable; by swirling, these will begin to blow off leaving behind a masterpiece for your palate to behold. Swirling the wine around in your glass will also bring in more oxygen. Why is this important? Introducing more O2 into the glass unleashes the wine's aromas, allowing it to "open up" and for all of those wondrous fragrances to blossom. At this point your beloved Rick has lost interest. You're simply not feeding his delicate ego the attention it deserves. With the raise of a brow, he extends you an "it was nice meeting you," and moves on to the next victim. In the past, you'd flock to the nearest friendly face. This time, you James Bond it. You hold your ground, give the glass another swirl, and stick your nose inside to smell the aromas awaiting your embrace. 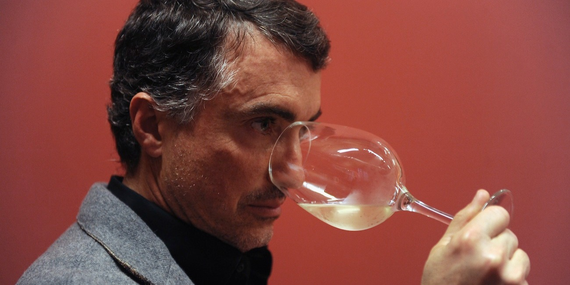 Ever tried drinking wine with your nose plugged? It may as well be water. Roughly 90 percent of our taste comes from smell, so don't sell yourself short on this step. 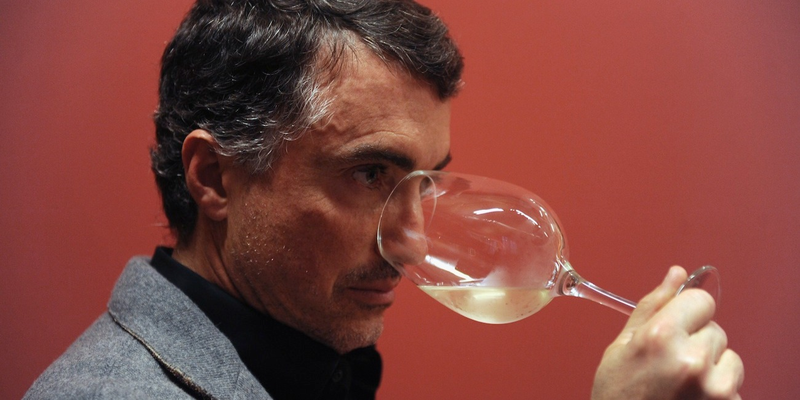 Immediately after swirling shove your schnoz deep into the glass and give the wine a powerful, wine-godly sniff and take in the various aromas. What do you smell? 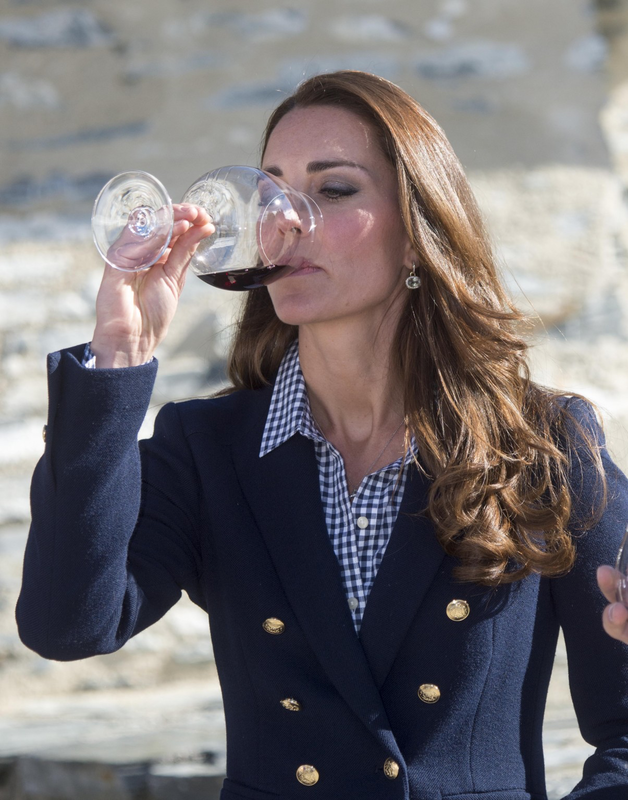 Is the wine fruity, or earthy? A bit of both? Do you smell red fruits like cherries, raspberries and/or strawberries, or dark purple fruits such as blueberries, plum and black currant? Or maybe you're smelling tobacco, wood, and pencil lead? Perhaps you just smell plain ole red wine. One of the biggest obstacles when first attempting to really smell our wine is disassociating from "red wine" and allowing other fragrances to creep into our minds. Make no mistake, this takes training! 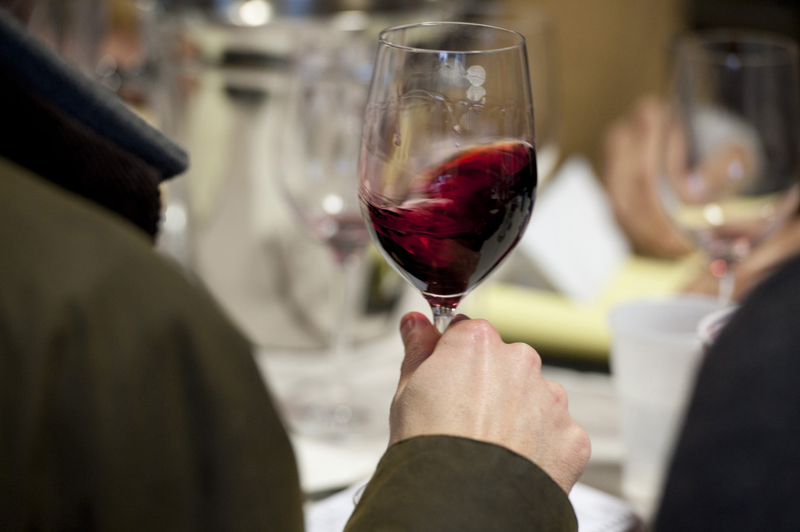 Every time you try, even if you just "smell red wine," you're doing a rep. Eventually, your sense of smell will get stronger, and new scents will reveal themselves. You'll even begin to notice certain fragrance patterns amongst different varietals. For example, Sauvignon Blanc commonly exudes aromas of green bell pepper and grapefruit. Let your imagination run wild and trust your senses... there's no right answer here. The more often you do this the better you'll become at discerning different aromas. Let's recap what's happened. You've looked at the wine and although it pretty much still "looks red," you noted the thick tears and expect a stronger wine. You swirled the wine to blow off any festering barnyard smells and to release the wine's true aromas. You James Bonded it and immersed your face into the glass to appreciate the scents. And now, it's time for the grand finale. You bring the glass to your lips, and the room comes to a stand still. You sip the wine like it's the last you'll ever have. Not only is your experience enhanced, but the little observations you've made link up with the taste to add a tiny record to your brain that you can build upon. With each passing sip you experience the transcendence of the expert, minus the lifetime of dedication. No books nor lifetime of wine tasting experience necessary. A recent bottle of Amarone was 16.5 percent alcohol (extremely high), but this was imperceptible without checking the label. All that alcohol was seamlessly stabilized by the wine's intense tannins (a compound in the wine that causes your mouth to feel dry and, in right doses, allows the wine to age), fruit, and acidity (this is what makes you salivate). In other words, the wine was "balanced". Balance simply implies that there's harmony between the different sensations (e.g., alcohol, tannin, etc.) 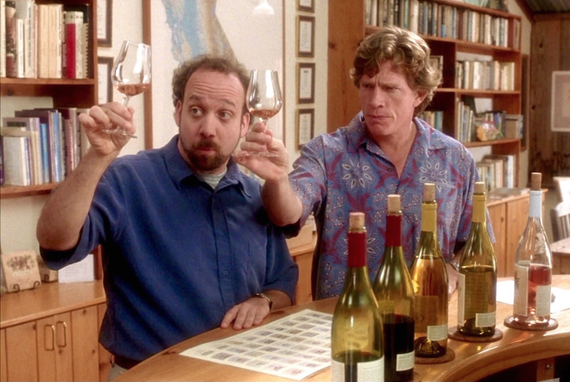 you detect when drinking the wine where no single element sticks out like a sore thumb. 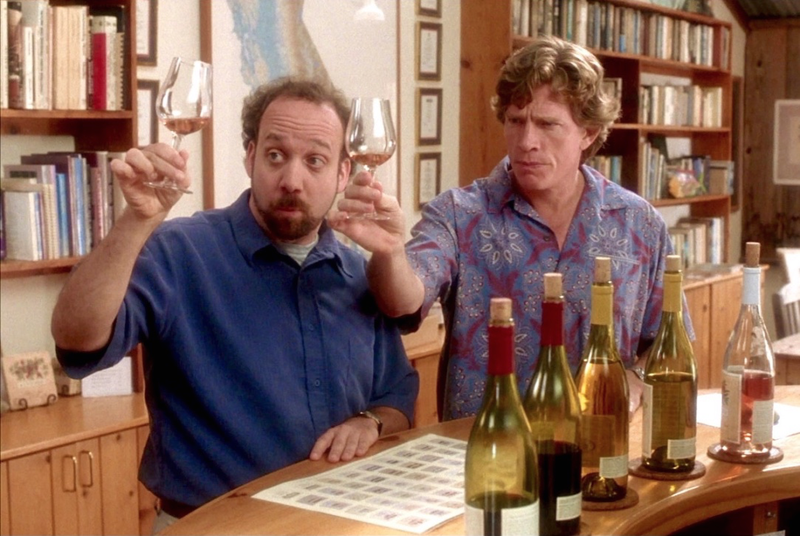 Many inexpensive wines are rather pleasant on the nose and taste great on the way down, but once you've swallowed the taste vanishes leaving you with a short to nonexistent "finish". You'll find that high quality wines, on the other hand, leave their mark on your senses long after you've imbibed. A whimsical grin envelops your face as you reply. "It's fine. I wasn't crazy about it at first, but after swirling the wine for a few minutes and getting some air in it really opened up. 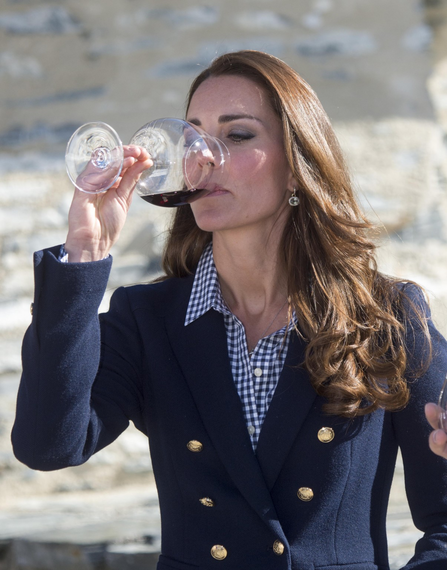 I'm getting lots of blackberry, hints of plum, and a bit of loamy earthiness on the nose." You lean in a bit closer and whisper, "having said that, I think Rick may be on the cheaper side. The pronounced alcohol in his wine is overpowering, and totally throws off the balance. The finish is also a bit short, at least for my taste." As your significant other's jaw hits the floor, you make sure to not look back as you walk, with swagger, to refill your glass. Warner Bros Pictures' "The Great Gatsby"
What do you think? I'm going to continue to attempt the impossible of teaching you about wine without boring you to death. If you want to keep reading, follow me on Twitter (@MikeWP318) and Medium. Cheers!